OneStrand's AIR Hosted Products provide authoring teams with a turnkey, ready to write S1000D Product Suite without the upfront cost of purchasing hardware and software. The Advanced Authoring Package includes the R4i CSDB Client Pro and R4i Writer Pro authoring software connected to your dedicated S1000D Common Source DataBase (CSDB) hosted in the OneStrand AIR Managed Cloud. Price listed is per user/ subscriber, per month. The Advanced Author with FrameMaker Package includes the R4i CSDB Client and R4i WorkSpace v3 software installed on top of your Adobe FrameMaker v11, 12, 13 (2015) or 14 (2017) software and connected to a dedicated S1000D Common Source DataBase (CSDB) hosted in the OneStrand AIR Managed Cloud. Price listed is per user/ subscriber, per month. The Advanced Author Package (with Premium Support) includes the R4i CSDB Client Pro and R4i Writer Pro authoring software connected to your dedicated S1000D Common Source DataBase (CSDB) hosted in the OneStrand AIR Managed Cloud. Price listed is per user/ subscriber, per month. 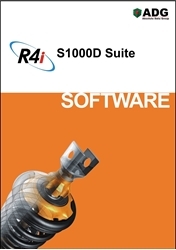 The Advanced Author with FrameMaker (with Premium Support) Package includes the R4i CSDB Client and R4i WorkSpace v3 software installed on top of your Adobe FrameMaker v11, 12, 13 (2015) or 14 (2017) software and connected to a dedicated S1000D Common Source DataBase (CSDB) hosted in the OneStrand AIR Managed Cloud. Price listed is per user/ subscriber, per month.